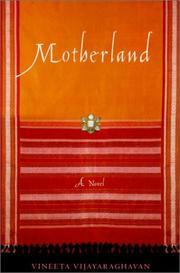 A lightweight first novel about an American teenager visiting her relatives in India. Though born in India, 15-year-old Maya has lived in suburban New York since she was a small child, leading a thoroughly American existence that has included swim meets, a semi-boyfriend, and the occasional beer. Most of her summers, however, she spends in India. Arriving now just after Rajiv Gandhi’s assassination, which provides a subplot about the potentially dangerous affiliations of her cousin’s nanny, Maya stays with her charming aunt and uncle, and with the grandmother who raised her until she was four while her parents were in the States. (Why she was left behind remains a mystery to Maya.) For the ensuing three months, she must metamorphose into the proper Indian girl her kin expect in everything from eating gracefully with her fingers to deferring to her elders. Capturing the lazy days of summer, the leisurely story offers a vehicle for exploring cultural identity rather than for advancing any chain of events. A few things do happen, even so. An older cousin from England arrives, nicely pointing up the differences between British and American expatriates; Maya cracks her head while bathing and is brought afterward closer to her grandmother; and she finally learns the family secret behind her four-year separation from her parents. The conclusion brings a marriage proposal, then the ailing and eventual death of her beloved grandmother. Vijayaraghavan paints a loving portrait of Indian customs and characters, but a certain emotional restraint prevents her from plumbing any real depths.